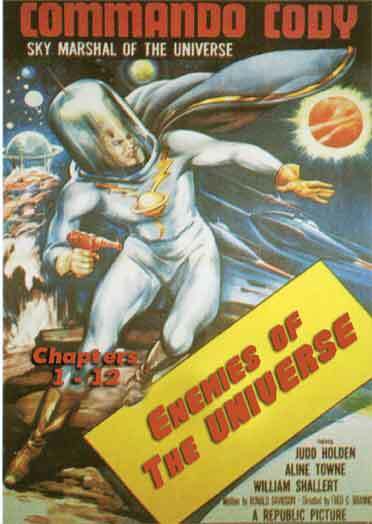 Space hero Flash Gordon and his crew of the Galaxy Bureau of Investigation patrol space, battling space monsters, power-mad alien dictators and other threats to the stability of the universe. 2 DVD Set – 12 Chapters – 1953. The final series in the Rocket Man Collection. This series is actually a prequel to Radar Men From The Moon and deals with an evil invader called the Ruler, who invades the Earth and attempts to destroy it by means of floods, typhoons, germ warfare and finally attempting to block out the sun. See science fiction radio shows also.